Disney Planes: Fire and Rescue Die-Cast Toy (3-Pack) Only $9.25 (Reg. $20.99)! 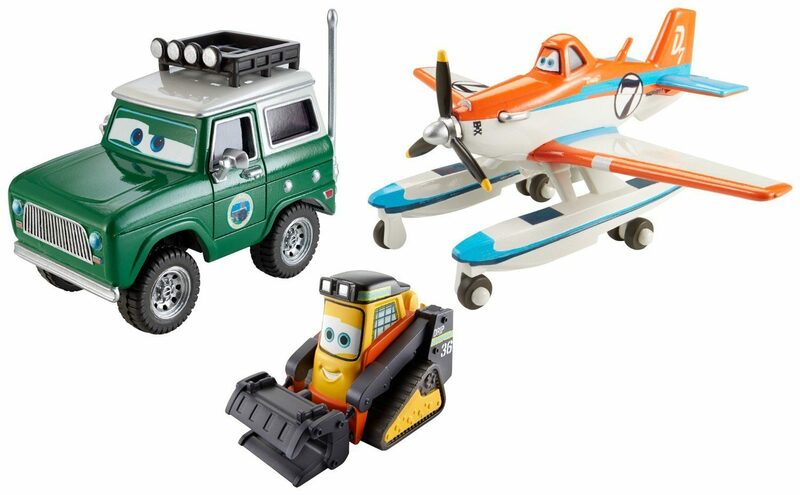 You are here: Home / Great Deals / Amazon Deals / Disney Planes: Fire and Rescue Die-Cast Toy (3-Pack) Only $9.25 (Reg. $20.99)! Check out this great Amazon deal! Right now you can get this fun Disney Planes: Fire and Rescue Die-Cast Toy (3-Pack) for only $9.25! This would make a fantastic gift idea for any Planes fan! Play with the all-star cast from Disney Planes: Fire & Rescue! Kids will love practicing maneuvers, dousing fires and keeping Piston Peak safe with their heroic efforts! Pump up the action and storytelling possibilities by collecting them all!